Commerce, Arts now. All the students who are preparing for the Senior Secondary exam need to cross their fingers now. 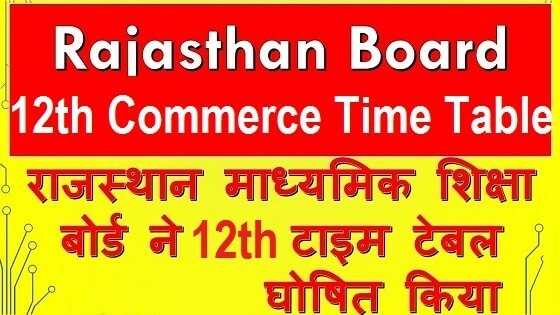 The RBSE 12th Commerce Time Table 2019 will soon available on the official website www.rajeduboard.rajasthan.gov.in.